Rat and Rabbit and Lurcherwork. The Royal Albert Ratting Club. "Rattus Norvegicus Originally caught at Carr House Farm, Howsbrook, Barnsley, Yorkshire by Meg, Sandy, and others in June 2001." It measured 20.5 inches long and weighed 1 Ib, 7 oz, and is now displayed in the home of club member, Brian Oliver. 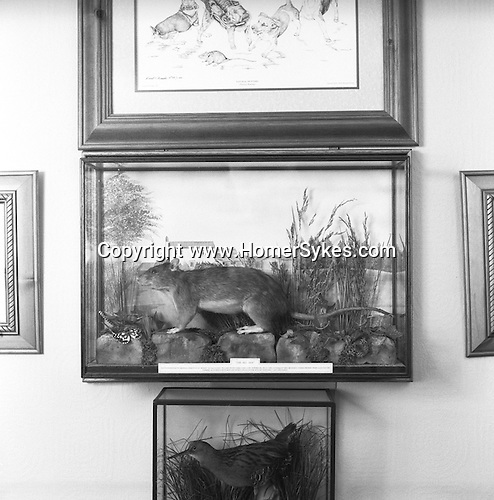 Barnsley, Yorkshire...Hunting with Hounds / Mansion Editions (isbn 0-9542233-1-4) copyright Homer Sykes. +44 (0) 20-8542-7083. < www.mansioneditions.com >..